Kenwood have just completed a project to an office in the centre of London. The office is used by the Royal Air Force Benevolent Fund, which are celebrating their Centenary this year. The charity works to provide help and support to RAF employees and their families. Kenwood were called to investigate dampness affecting one of the offices used by the charity. 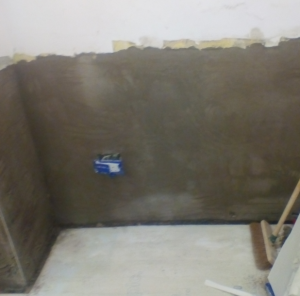 Rising damp was affecting the area and Kenwood quickly attended site to rectify. The affected wall plaster was removed and a chemical damp proof course injected into the brickwork. 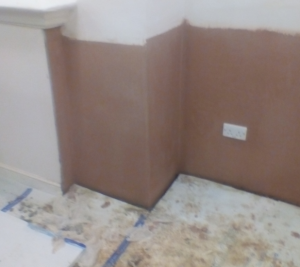 The walls were then re-rendered and skim finished to complete the treatment.